We also need volunteers to provide snacks for the youth on Wednesday nights. You are also welcome to join us for the remainder of the night if you choose! What a blessing we had on Palm Sunday to watch these young people join our church by confirmation. Congratulations to our newest members: Victoria Lee, Syndee Haley, Harrison Lee and Zac Carlton! Also a huge “Thank You” to Sarah Bohannon and Rev. Karen Jones for helping guide them through this process. 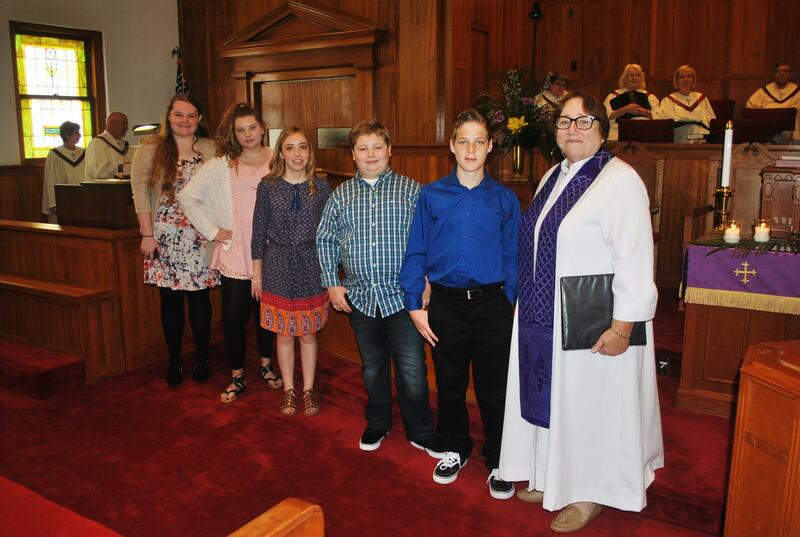 Pastor Karen Jones and Sarah Bohannon, FUMC Youth Director, formed a Confirmation class for youth in Grades 6 and up who wanted to learn more about God, faith and what it means to be a member of the church. The Youth Ministry of First United Methodist Church of Center provides an atmosphere that is conducive for teenagers in the 6th through 12th grades to grow spiritually in their relationship with God and with other teens in our community of faith. Opportunities are provided for study, worship, fun, fellowship and outreach.